A fundraising campaign is underway to help whistleblower and former US Army intelligence analyst Chelsea Manning cover living expenses when she is released from prison on May 17. Manning was convicted under the Espionage Act in 2013 after leaking hundreds of thousands of classified US government documents to WikiLeaks. She was originally due to be released in 2045, but her 35-year sentence was commuted by former US President Barack Obama last month during his final days in office. 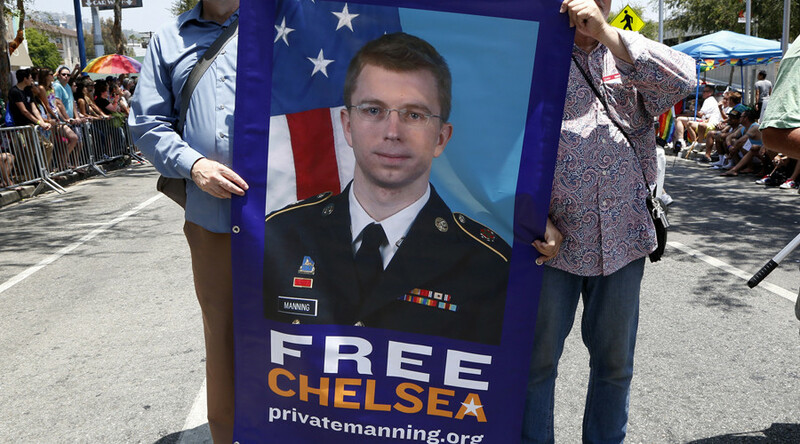 Campaigners are now preparing for the former army private’s release and have launched a GoFundMe page called the ‘Chelsea Manning Welcome Home Fund’ with a financial target of $100,000. The fund has already raised more than $21,500 in 20 hours. “For the first time in her life, Chelsea will have the opportunity to live freely as her authentic self, to grow her hair, engage with her friends, and build her own networks of love and support,” the page states. The campaign organized by friends and family of the transgender woman aims to raise money to meet Manning’s survival needs as she is released from military custody after seven years. The money accumulated will go directly to Manning’s rent, utilities, healthcare, clothing and other living expenses for the first year after she is released, according to the group. Formerly known as Bradley Manning, the whistleblower was initially denied sexual reassignment surgery by the Department of Defense, but the treatment was later approved – just months before the commutation was announced. Manning made two suicide attempts during her time in prison and was subjected to long periods of solitary confinement. News of Manning’s commutation was welcomed by her supporters, including NSA whistleblower Edward Snowden. However, it was met with some opposition, particularly from members of the Republican party. President Trump blasted Manning as an ‘ungrateful traitor’ on Twitter after she criticized Obama’s legacy in an opinion piece.